The success of any eCommerce business is dependent on search engine optimization, or SEO. How your store ranks in the search engines can have a direct impact on your sales and profit. Magento serves thousands of products worldwide and makes it easy to use the search engine friendly functions to enhance the success of your business. 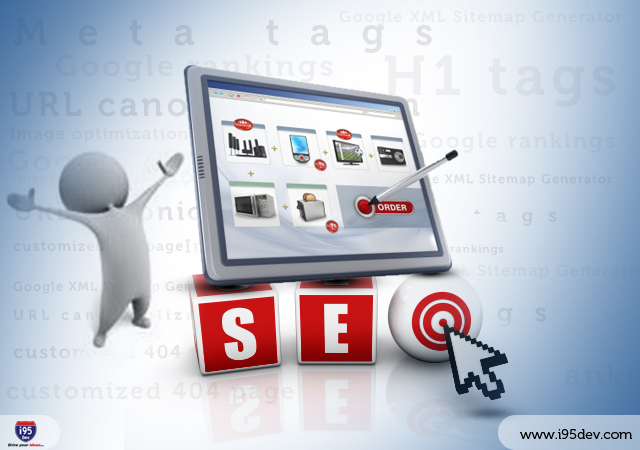 Below are some basic tips to help you maximize your SEO tactics and realize higher ranking in the search engines. Your Magento store header is just as important as the body of your website. It is one of the main components that determines your search engine ranking. The more specific you are in your Meta tags and Meta description, the easier it is to rank. It is best to keep the Meta description brief, while capitalizing on the keywords. In order to index your site, a Google XML sitemap is essential. The generator lets you determine how often the XML sitemap is generated as well as its priority settings and what time of day it should be run. You should also specify who should be contacted in the event of a problem. Your content is the key to your success in search engine ranking. If your content is considered copied or old news, it will not rank. Creating unique, quality content is the best way to ensure higher ranking. Migrating your store to Magento from another platform makes it essential that you put adequate effort into the redirection of the URLs. It is important to use 301 redirecting for your page redirection. There are other options including 302 and Meta refresh direction, neither of which are as successful as 301. It is essential that you dissolve the URL canonicalization. Duplicate pages will decrease your SEO ranking. If there are duplicate pages, SEO must be notified in order to not affect your ranking. Your primary keyword should take prevalence in your H1 tags. SEO looks to the H1 tags for primary ranking, making them very important. Your images play a large role in your search engine optimization as well. While it might seem easier to give your images generic names, it would be a large mistake. Name each image the name of your product to increase your ranking. Alt attributes are also important for Image optimization. When visitors reach your 404 page, they have two choices; move on to another website or follow links to your site. If you customize your 404 page, you can include valid links that visitors can follow to reach your site. Taking a few moments to familiarize yourself with these search engine optimization tips will allow you the most success ranking in the search engines. This amounts to a larger customer base, higher sales and profits. If you wish to obtain help with your search engine optimization and your Magento eCommerce website, contact i95Dev. Our specialists can help you solve any issues and create the best SEO to help the success of your website.